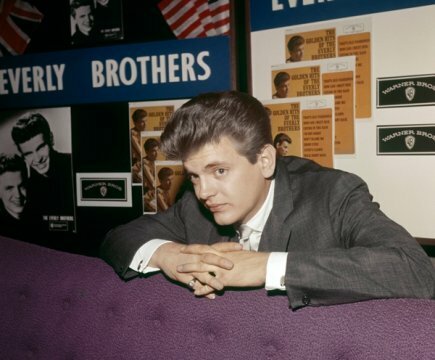 As the world mourns the sudden death of rock legend Phil Everly of The Everly Brothers, no community is more deeply saddened than his beloved Western Kentucky hometown of Central City. 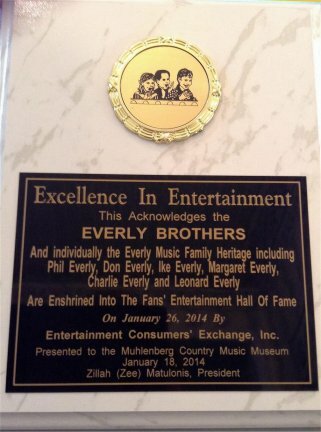 Before selling millions of records around the globe, Don and Phil Everly spent their early years listening to and watching their father, Ike Everly, Muhlenberg native son, Merle Travis, and a host of others. Then they took what they had learned and became rock legends in the late 1950s. By the time the duo took a break in the 1970s, Don and Phil had scored 11 No. 1 hits worldwide including “Wake Up Little Susie” and “Cathy’s Clown”. The duo recorded 75 singles, and won the hearts of millions of fans around the world. Ironically, at the time of Phil’s death on Jan. 3 in California, local fans were making plans to celebrate what would have been Phil's 74rd birthday just two weeks away on Jan. 19. But the heartbreaking news of the death of the younger half of the Rock and Roll Hall of Fame duo has transformed what was to be a birthday celebration into a city-wide memorial service. 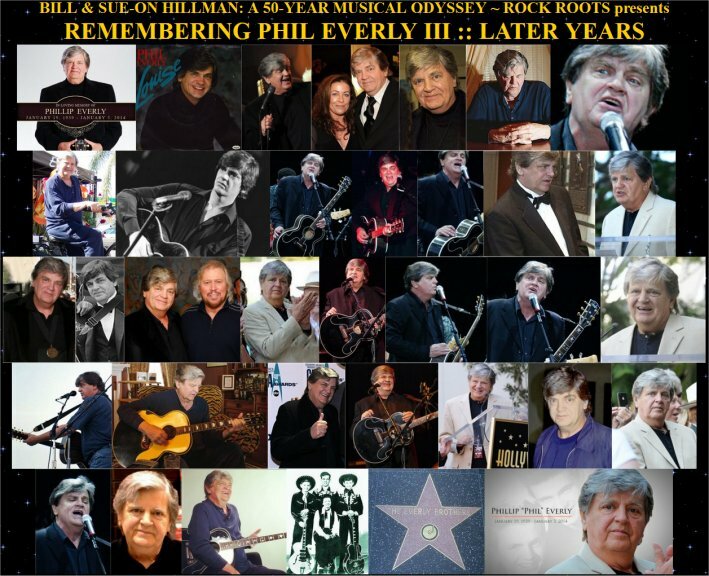 The management and staff of the Central City Tourism Commission, which features a museum of Everly Brothers’ memorabilia and rare recordings, held a Celebration of Life Memorial Service for Phil. Don and Phil Everly's roots go deep in this quiet town. And, although both lived in various areas of the country over the years, they returned to show their gratitude to their hometown beginning in 1988 with the first of numerous Everly Brothers Labor Day Homecoming Music Festivals. Over the years, the festival featured a galaxy of stars including Chet Atkins, Keith Urban, Billy Ray Cyrus and Tammy Wynette. The estimated total number of fans who attended the gatherings over the years have been said to be as high as 200,000. Proceeds from the event went to a scholarship fund set up in honor of the Everly Brothers. Saturday, Jan. 18, 2014 at the museum located in Central City. "So sad. Somehow, although it might seem corny to use this song title, I can’t get it out of my mind. It’s the oddest thing. I was only just strumming the Everly Brothers hit of that name and in my head I could hear every note on the track and sing every nuance of the two parts Don and Phil sang. "The music of the Everlys, which thrilled me to the core when I was a boy, will be in my head till I die. Now I hear Phil is gone. I feel like a huge piece of my youth just melted away. I loved those guys and still do. From them I learned to play rhythm guitar and how two-part harmonies work. "How different emotions are evoked using different sequences of intervals, how to find the moments that chill your spine. I could probably write a book on the music of the fabulous Everly Brothers. But you’ll find echoes of their influence in a lot of our old Queen songs and perhaps that is the best tribute. I never met them. Wish I had. But they will always be my heroes. "So sad. RIP Phil Everly – you were magic. I have tears in my eyes." 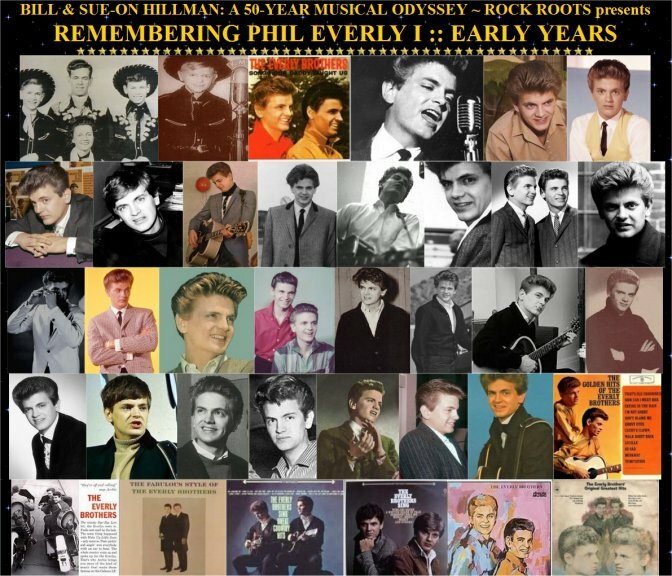 Phil Everly is gone. Touring with Phil and Don was one of the thrills of my life. I love you Phillip - Godspeed. He and Norah Jones recently recorded an Everly Brothers tribute album. “The most important vocal duo in rock. . . and they heavily influenced musicians of their era, including John Lennon and Paul McCartney, who early on called themselves the Foreverly Brothers." "So sad that Phil Everly has just died. I loved the Everlys and managed to meet Phil at Ringo's Star ceremony on the Walk of Fame. So Sad." 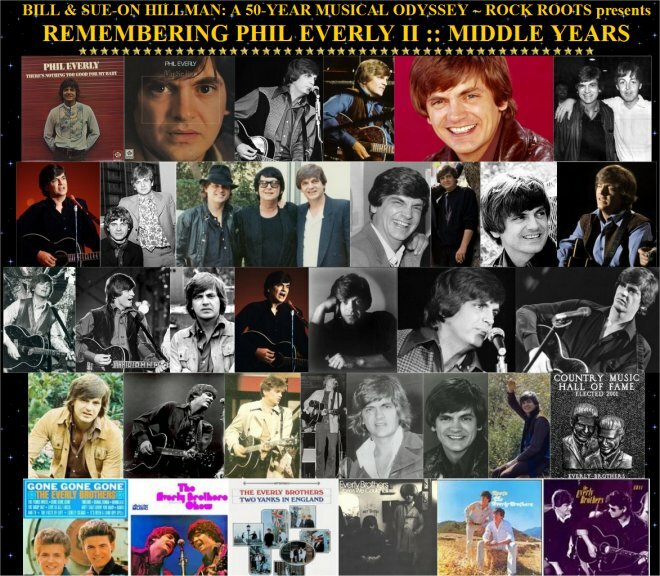 “No two voices can ever vie with the Everly Brothers as a duo and no high harmony singer will ever compare to Phil. He was the best and will be sorely missed in every way. "Every close harmony duo recognizes the immense debt they owe to the Everly Brothers. The Everlys were the very best and we all know it. When Gordon and I first got to meet Don and Phil it was act of homage. We had been singing their songs and copying their harmonies from the day we got together. “I got to know Phil quite well and he was a man as charming, kind and smart as he was musically brilliant. 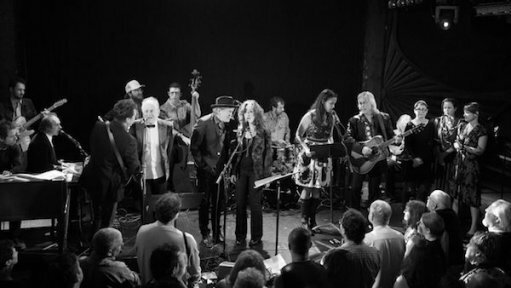 A couple of years ago when I got to produce and host a Buddy Holly special for PBS, one of the highlights for Graham Nash and I was when we got to sing two lines of 'That'll Be The Day' with Phil, our idol. He was not very well even then but sounded as thrilling as ever. "He and his brother changed music forever. They invented the Beatles. They were fathers to us all. RIP Phil." "I honestly believe I've spent the last 40 years, on every record I've been part of for somebody else, trying to be an Everly. ... I've spent my whole life chasing that beautiful, beautiful blend." "The most important vocal duo in rock"
"It's like a third person. When Phil and I sing, there are times that what comes out is not either of us, but the voice of a third person." 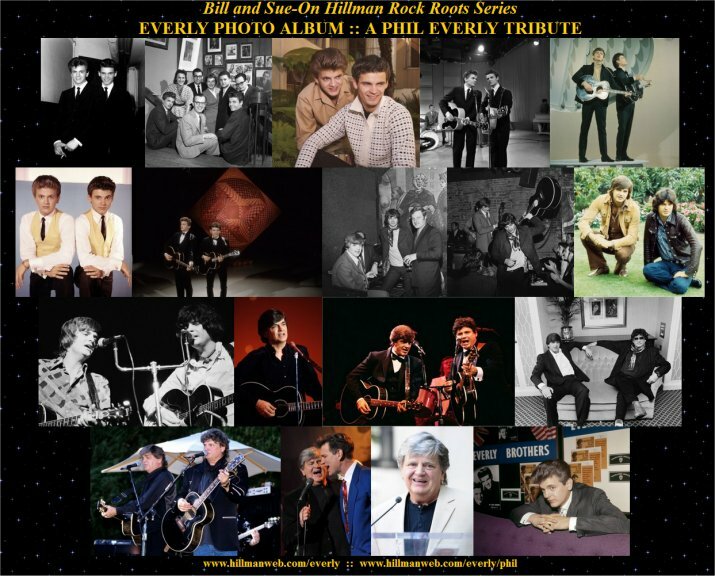 Phil Everly, who with his brother, Don, made up the most revered vocal duo of the rock-music era, their exquisite harmonies profoundly influencing the Beatles, the Beach Boys, the Byrds and countless younger-generation rock, folk and country singers, has died. He was 74. Everly died Friday at Providence St. Joseph Medical Center in Burbank of complications from chronic obstructive pulmonary disease, his wife, Patti Everly, told The Times. "We are absolutely heartbroken," she said, noting that the disease was the result of a lifetime of cigarette smoking. "He fought long and hard." During the height of their popularity in the late 1950s and early 1960s, the Everly Brothers charted nearly three dozen hits on the Billboard Hot 100 singles chart, among them "Cathy's Clown," "Wake Up Little Susie," "Bye Bye Love," "When Will I Be Loved" and "All I Have to Do Is Dream." They were among the first 10 performers inducted into the Rock and Roll Hall of Fame when it got off the ground in 1986. "They had that sibling sound," said Linda Ronstadt, who scored one of the biggest hits of her career in 1975 with her recording of "When Will I Be Loved," which Phil Everly wrote. "The information of your DNA is carried in your voice, and you can get a sound [with family] that you never get with someone who's not blood related to you. And they were both such good singers — they were one of the foundations, one of the cornerstones of the new rock 'n' roll sound." Robert Santelli, executive director of the Grammy Museum in Los Angeles, said Friday, "When you talk about harmony singing in the popular music of the postwar period, the first place you start is the Everly Brothers.... You could say they were the vocal link between all the 1950s great doo-wop groups and what would come in the 1960s with the Beach Boys and the Beatles. They showed the Beach Boys and the Beatles how to sing harmony and incorporate that into a pop music form that was irresistible." "What beautiful music Phil and Don Everly gave us," Chris Hillman, founding member of the Byrds and the Flying Burrito Brothers, told The Times on Friday. "I owe them so much, and they truly inspired Gram Parsons and myself in our early adventures together." Vince Gill, the 20-time Grammy-winning country singer and guitarist, said in an interview with The Times on Friday: "I honestly believe I've spent the last 40 years, on every record I've been part of for somebody else, trying to be an Everly. On every harmony part I've sung, I was trying to make it as seamless as Phil did when he sang with Don. They had an unfair advantage — they were brothers — but I've spent my whole life chasing that beautiful, beautiful blend." That blend consisted of Don's lower voice typically handling the melody line and Phil adding flawless harmony a few notes above. Paul Simon and Art Garfunkel started their singing career as an Everlys-inspired duo, calling themselves Tom & Jerry. On Simon & Garfunkel's multiple Grammy-winning 1970 album "Bridge Over Troubled Water," they covered the Everlys' first hit, "Bye Bye Love." "When Artie & I were kids," Paul Simon wrote in Rolling Stone in 2004, "we got our rock & roll chops from the Everlys." In 1976, Paul McCartney name-checked them in his post-Beatles hit single "Let 'Em In." But their sibling rivalry was as intensely contentious as their sibling harmonies were celestially sweet. They often fought off stage, and sometimes on, and in 1973 famously called it quits in the midst of a performance at Knott's Berry Farm in Buena Park. Both had struggled with substance abuse issues during the '60s, and when Don showed up to the show drunk, Phil smashed his guitar and walked out, ending their professional relationship. For years they didn't speak to each other, but after a decade pursuing separate solo career paths, they decide to reunite and played widely acclaimed concerts at London's Royal Albert Hall in 1983, resulting in their first charting album in a dozen years, "The Everly Brothers Reunion Concert." The following year, McCartney wrote the Everlys a hit single, "On the Wings of a Nightingale," for "EB 84," their first studio album in more than a decade. They recorded two more studio albums during the 1980s — taking on songs by esteemed rock songwriters such as Bob Dylan, the Beach Boys' Brian Wilson and Dire Straits' Mark Knopfler — before going their separate ways once again. They remained estranged for much of the last two decades. "Don and I are infamous for our split," Phil told Time magazine in 1986, "but we're closer than most brothers. Harmony singing requires that you enlarge yourself, not use any kind of suppression. Harmony is the ultimate love." When they played a few shows in the '90s, the tension was still in play. "We give each other a lot of space," Don Everly told The Times in 1999 when they played a couple of shows in the Southland. "We say hello, we sometimes have a meal together.... Everything is different about us, except when we sing together. I'm a liberal Democrat, he's pretty conservative." Philip Everly was born Jan. 19, 1939, in Chicago, about two weeks before older brother Don turned 2. The children of two musicians, Ike and Margaret Everly, Phil and Don early on began singing on their parents' radio show in Iowa. The brothers credited Ike with teaching them all they knew about music. Ike Everly was an accomplished guitarist who reportedly influenced country guitar legends, including Merle Travis and Chet Atkins, and facilitated his sons' recording career by introducing them to famed guitarist and talent scout Atkins when they were in their early teens. Atkins connected them with Wesley Rose of Nashville's famed Acuff-Rose Publishing, and Rose offered to get them a recording contract if they would sign to Acuff-Rose as songwriters. Rose introduced them to Archie Bleyer, who signed them to his New York-based Cadence Records label, and it wasn't long before the hits began to flow. 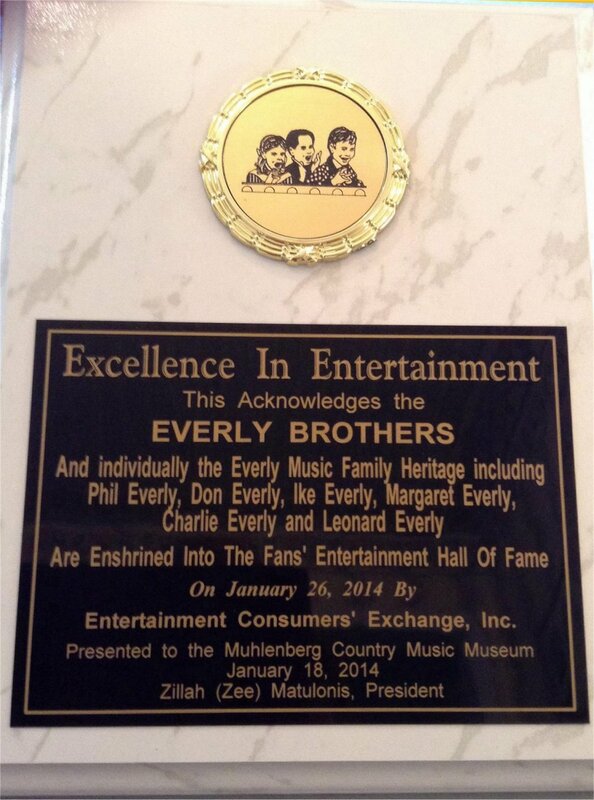 "The Everlys took the country brother duet tradition one step farther," historian Colin Escott wrote in the 2012 second edition of the Encyclopedia of Country Music. "They added Bo Diddley riffs, teenage anxieties and sharkskin suits, but — for all that — the core of their sound remained country brother harmony." A year after the family moved from Knoxville, Tenn., to Nashville in 1955, the Everly Brothers rocketed to No. 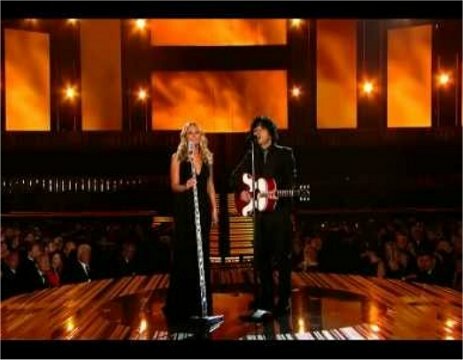 2 on the pop charts with "Bye Bye Love," a song by Nashville husband-wife songwriting team of Felice and Boudleaux Bryant, the first of many songs by the Bryants that the Everlys would record, including "Wake Up Little Susie," "Bird Dog," "Problems" and "All I Have to Do Is Dream." Those songs are now perceived as remnants of a more innocent age, but "Wake Up Little Susie" was banned from many radio stations because its story of two teenagers being out together into the wee hours was considered too racy. "It didn't even enter our minds that anybody could object to it," Phil recalled in 1984. "But if we'd called a press conference to deny it, nobody would have shown up. They were all off listening to big bands." Both Everly siblings also knew a thing or two about songwriting, with Phil contributing "When Will I Be Loved," and Don writing "('Til) I Kissed You," "Cathy's Clown" and "So Sad (To Watch Good Love Go Bad)." In 1960, the Everlys moved from Cadence to the 2-year-old Warner Bros. Records label for what was widely reported to be one of the most lucrative contracts in popular music. Without missing a beat, they delivered their first hit for Warner Bros. with "Cathy's Clown," which spent five weeks at No. 1, and at that point they were more popular than Elvis Presley, who'd enlisted in the U.S. Army. Despite their personal differences, the musical magic that earned them an inaugural spot in the Rock and Roll Hall of Fame still surfaced when they sang together. "That's the one part where being brothers makes a difference," Don said in 1999. "It's just instinct. That's the charm of what the Everly Brothers are: two guys singing as one. I want people to leave there thinking 'Whoa, it's still happening, it's still good.'" In addition to his wife, brother and mother, Everly is survived by sons Jason and Chris, and two granddaughters. was something not entirely of this Earth.